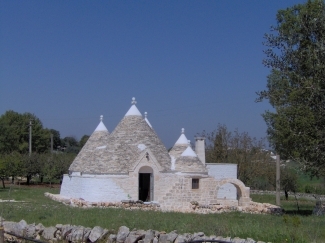 Our private trullo houses are perfect for your holiday. 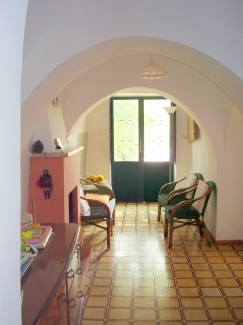 In a relaxing and special area our trullo houses have been restored, renovated and furnished with great care in order to make each trullo luxurious, airy and bright. 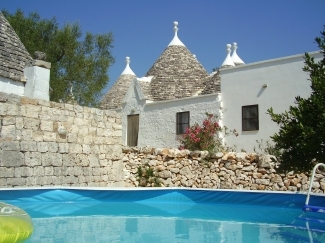 All trulli have fitted kitchens, shower rooms with hot and cold running water, private parking, barbeque areas, outside showers and large and shaded patios with sunbeds and garden furniture. All our trulli are in beautiful,private and peaceful spots. All linen is provided. There are no extra charges for welcome packs, cots or information about the area. The owners are English speakers.